A monolithic 1970’s building on Stokes Croft, Hamilton House is home to a community of designer-makers, creatives, entrepreneurs, thought-leaders and change makers. At the heart of Bristol’s independent cultural quarter, creativity is in our DNA. On site spaces include the iconic Canteen bar with daily live music and the DMAC dance studios with an extensive programme of dance, fitness and wellbeing classes. Workspaces include coworking, artists’ studios and offices ranging in size from the intimate to the cavernous. A variety of events spaces include meeting rooms, performance spaces and art spaces. Desks in an open-plan shared environment available on a daily, monthly or permanent basis. Discounted access to meeting rooms and event spaces. Affordable artists’ studios that can be shared or private. Some are semi-open plan and others are fully enclosed. All have big windows and lots of natural daylight. Private offices available in a range of shapes and sizes, all with big windows and lots of light. Discounted access to meeting rooms and event spaces. We have a range of meeting, event and performance spaces available seven days a week. We can configure them to your requirements and also offer refreshments and catering. Contact us for availability and bookings. Various meeting rooms available from 8:30AM to 10:30PM seven days a week. Various event spaces for rehearsal, performance, parties, meet-ups, wellbeing and more. Secure contract parking is available on a flexible monthly and annual basis. Gated car park with 24/7 access. 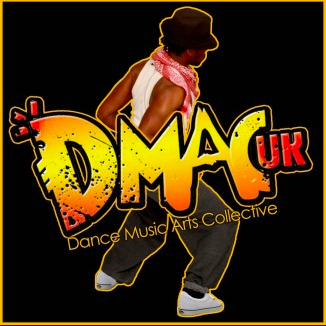 DMAC UK is both a venue and a social enterprise. At their studios in Hamilton House, they host around 35 regular dance/movement/martial arts classes every week – African Dance, 5 Rhythms Dance, Ballet & Ballates, Tribal Fusion Belly Dance, Capoeira, Contact Improvisation, Drumming, Salsa, Tango, Afro Fusion, Brazilian Dance, Bollywood Dance, Lyrical Contemporary, Breakdance for Kids and a huge range of Yoga classes. Their studios rate as some of the best dance spaces in Bristol. The studios are available at weekends and occasionally in the week for bigger workshops, private hire and rehearsals. Check out their full timetable on their website by clicking the button below. The Canteen opened its doors in August 2009 to serve and provide for the people of Hamilton House, Stokes Croft, Bristol and beyond. At first a café, a bar, a restaurant and a music venue, the Canteen has become a melting pot, a meeting place and a place for people. Check out their full line-up and menus at their website by clicking the button below. Secure bike storage on site. Contract parking available on site.